On Monday, Senate Republicans and Democrats released a bi-partisan comprehensive immigration reform proposal and on Tuesday President Barack Obama outlined his priorities in Nevada. As Washington debates various pieces of reform of our immigration system, this HPS report examines our current policy from the perspective of economic growth to determine whether the U.S. fully capitalizes on the economic benefits of immigrants. 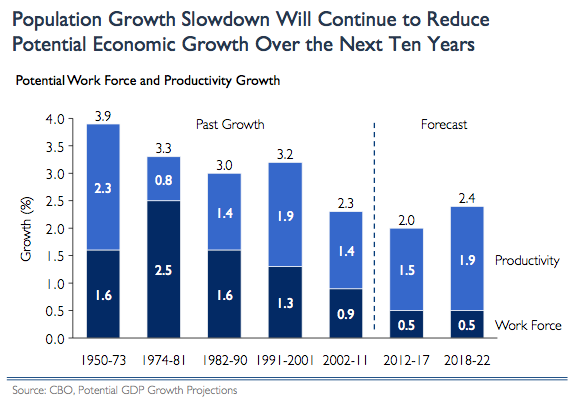 Shift the framework on immigration from supply and demand to economic growth: Rather than view immigrants as labor market competitors, we offer a different framework that looks at immigrants’ impact on the two components of economic growth: population and productivity. We find immigrants have positive effects on both sides and thus are critical to boosting economic growth in the face of U.S. demographic challenges. Current policy does not fully capitalize on the economic benefits of immigrants: Under our current system, market demand far outstrips the caps on high-skilled and low-skilled immigration. Moreover, the legal permanent resident visas are designed to unite families rather than recruit workers. We find that the market demand for both high and low skilled immigrants outstrips the supply. How to create sustainable immigration policy: Past experience suggests that Congress cannot simply adjust caps to meet the demands of the economy. Our immigration policy should include institutionalized provisions that can adapt policy in a timely way to address the needs of an ever-fluctuating economy.